Documentation of potatoes, onions, sugar beets and other specialty crops harvest data is now possible with Yield Documentation, Specialty Crop. Yield Documentation, Specialty Crop enables producers to document harvest information from weight-based, conveyor driven harvesting equipment. View instantaneous yield information and totals on the go with Yield Documentation, Specialty Crop and the GreenStar 3 (GS3) 2630 Display. Yield Documentation, Specialty Crop is compatible with the GS3 2630 Display; the display provides on-screen mapping, in-cab visualization in color and, by color-coding each pass on a map, the display provides a real-time picture of the crop harvested. Easy access to harvest yield information and percent trash enables producers to make future agronomic decisions based upon site specific data. 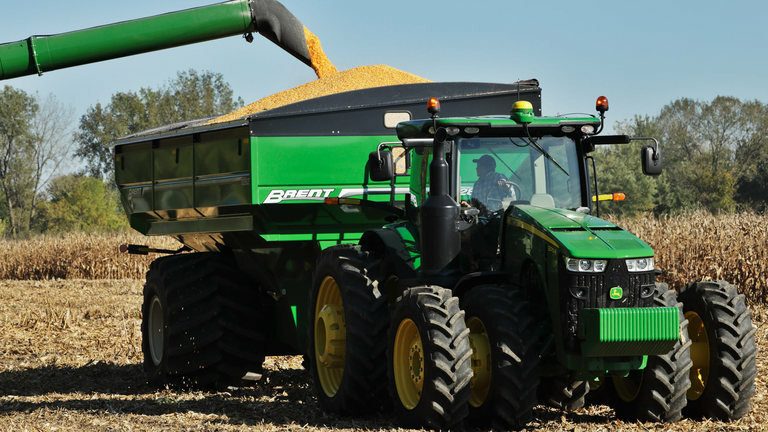 Transfer the harvest documentation data into the John Deere Operations Center via USB or Wireless Data Transfer (WDT) for further analysis and generation of future variable-rate prescriptions. NOTE: Yield Documentation, Specialty Crop harvest data is only compatible with the John Deere Operations Center.